For some reason I can never spell it right. Origin: Japan/China. A power drink - for your gut. Kombucha is fermented tea - it contains probiotics, antioxidants and are also slightly alcoholic. Kombucha might sound new to you, but it’s actually a really old recipe. And have been drank for thousands of years. 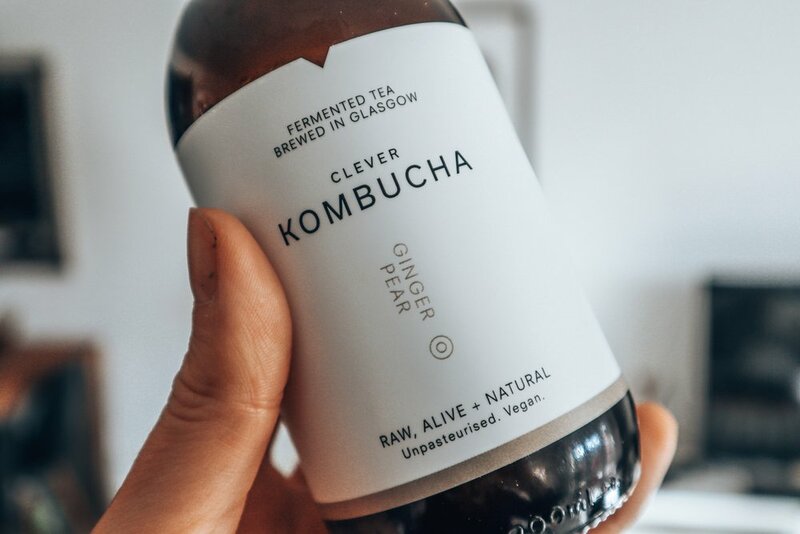 Kombucha is a drink that is scientifically proven to provide health benefits. Probiotics: good for you gut = good for your immune system, improve digestion, reduce inflammation and promote fat loss. Antioxidants: Fight off free radicals that can damage your cells. Tasty: It’s fizzy, a little bit sour and can be made with different flavours.